Alan Hannah is at the forefront of innovative wedding dress design. 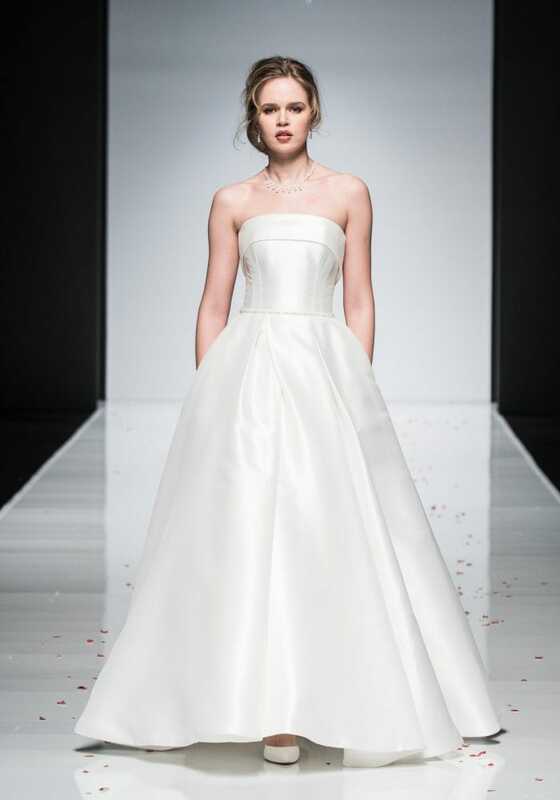 All of their wedding gowns are proudly made in London, UK. 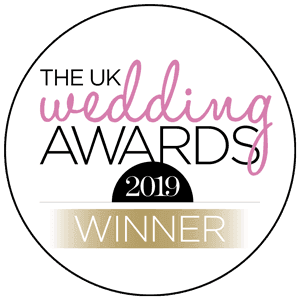 With over 25 years of experience, the Alan Hannah designer, Marguerite Hannah is one of the most respected and experienced couturiers working in England today. Marguerite has been awarded designer of the year on seven occasions. 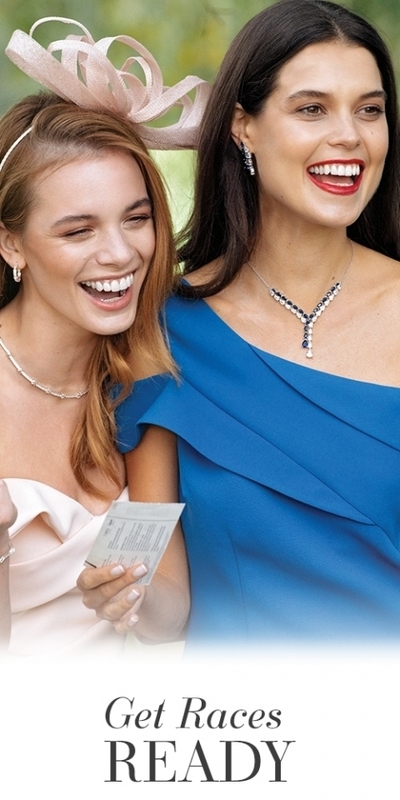 TheAlan Hannah DevotedJewellery collection is the perfect accessory choice for our gowns and is available through Jon Richard from all Debenhams stores in the UK. Here we get the chance to ask her the reasoning behind her collections and what trends she thinks will take over in 2019. Can you give a brief overview of how you came to be a bridal designer? I lived in Cyprus for five years when I was 19 to 24 where I studied pattern cutting for fashion and also eventually developed my own couture clientele amongst the international diplomatic community in Nicosia. On returning to the UK I started working in the bridal industry while also studying at London College of Fashion. I fell in love with designing wedding dresses, I have always loved high couture and theatrical design and bridal allows me to indulge in my favourite areas of creativity. 2. When you start to design a new collection, what is the process and inspiration you go through? I start my collection well ahead of show times. I source my fabrics and embellishments first then start to gather my ideas for the themes that will run through the collection. I start to sketch these and over the next few months as my fabrics start to arrive I choose the designs I want to make up and start to create these by draping on the mannequin and live model and gradually finesse the dresses and start adding beading and other decorative elements. I live in London and I regularly visit many of the amazing exhibitions which are staged here and my inspiration can be from ideas that are inspired by some of these or other influences that seep into my subconscious and emerge as I start the creative process. I love using motifs from nature and regularly use hand painted floral detailing and prints to create colour and drama. 3. What is your favourite Alan Hannah SS19 jewellery piece and why? I love working with the team at Jon Richard as the jewellery really reflects and complements the themes which run through the beading and embroidery on the dresses. 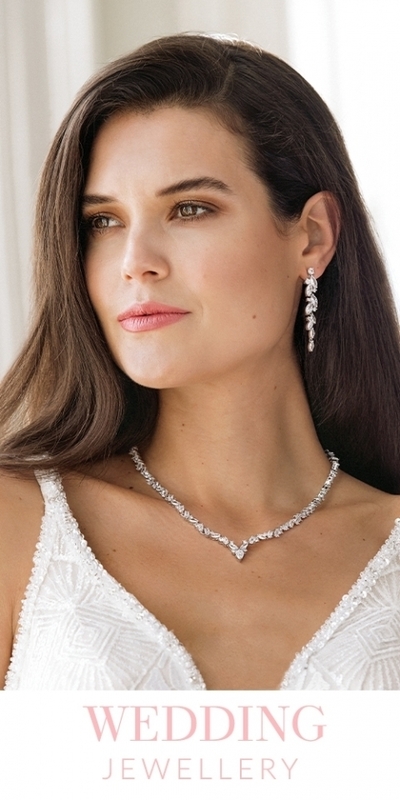 The Alan Hannah Devoted pieces are so popular with our brides and really allow them to create a complete look. If pushed to choose I would say that the Lydia hair vine is my favourite piece from the new collection. It’s so versatile and can be used in so many different hairstyles. It also has a lovely organic feel and the hand bound elements are so crafted and beautifully flowing. 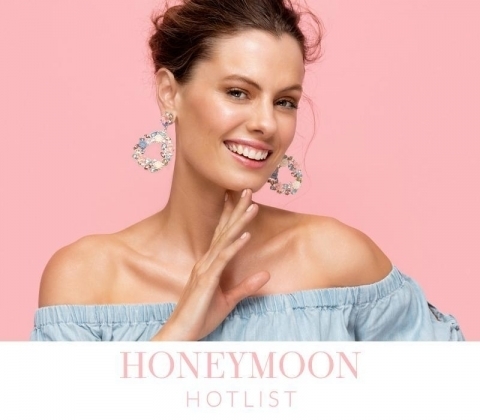 The gorgeous picture in the new brochure really shows how it works so well with a boho look but it would also be amazing with hair up teamed with a classic dress. 4. 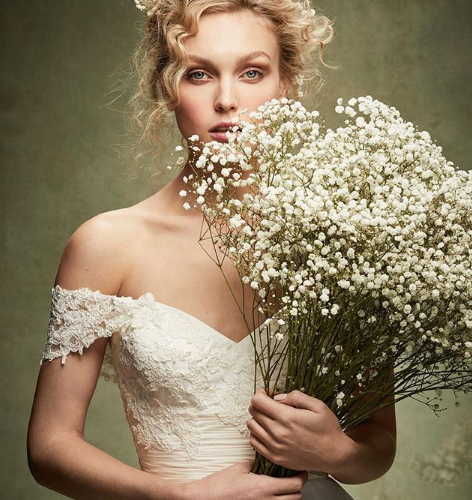 What trends do you expect to be huge for the 2019 bride? As with all fashion at the moment bridal has a lot of different looks going on. As a designer who doesn’t like to be too restricted my three collections are all have different emphasis. This season we are seeing a real return to classic and beautifully cut silhouettes like my Millie dress which is in crisp Japanese mikado with minimal embellishment. These styles are amazing when teamed with a dazzling accessory or hairpiece like Sophia tiara. 5. In your opinion what sets you apart from competition? One of the things that sets us apart is that we still make every Alan Hannah dress in our own studios here in London. Every bride knows that her dress is made individually for her with the love and attention which our amazing seamstresses pride themselves on. 6. What are the biggest challenges you face with a new collection? My biggest challenge is to keep breaking new ground in design but at the same time keeping the dresses elegant and timeless. I think this is partly why our partnership with Jon Richard has worked so well. I have seen how the Alan Hannah Devoted Collection has become a forward thinking concept but at the same time the pieces will never become dated and can be worn forever. 7. Why did you feel Jon Richard were the right people to interpret your vision into accessories? I realised when I first started working with Jon Richard that we were going to create something together that was going to be a true collaboration rather than just a branding exercise. 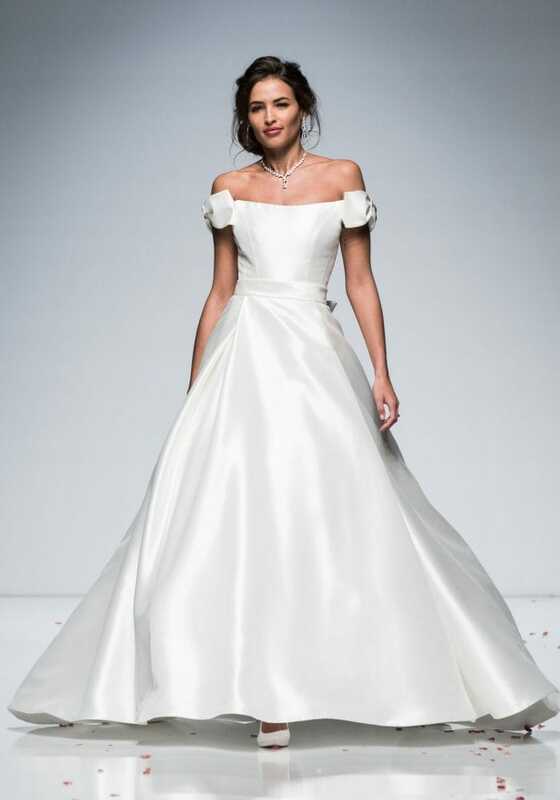 We work really closely to create pieces that are true inspirations from the embellishments on the dresses along with the technical and creative brilliance of the Jon Richard team to bring the bride a really unique and individual collection. 8. What do you feel is the most important thing to consider when choosing your bridal accessories? When choosing accessories, as with a dress, make sure that you are wearing something that feels natural to you and reflects your own personality. Don’t overdo a look because it’s your wedding day and you feel that you have to have a much more dramatic look than you feel comfortable in. It’s really important that you have some trials with your hairdresser to work on different looks and maybe include a trusted friend to share ideas and opinions with you.